Our first SWTOR community creation for this week comes to us in video form. Youtube user, HunterFireFlower, has used in-game video footages, edited together to create a unique look at some possible relationships between companions in SWTOR. Now, saying that about the companions there are some potential spoilers, you have been warned. Another major component to the video is the song Miracle by Shinedown. It has some lyrics that go with the relationships. Check it out and let us know what you think. I come to this thread with some interesting news! Today I learned of a fun, new thing we are adding in Game Update 2.4… the ability to dye lore outfits! Finally! Thank you BioWare for making this change. I know that there was a good reason for not wanting to have the lore armors colored, but allowing players to have more customization lets them feel more vested in their character. The more players connect with their character, even being allowed to change the armor color, the more time they want to login to the game. The more a player logs onto the game, means they could possibly buy Cartel coins, renew/open a subscription or even if it only creates goodwill among the player base it is a win for you, BioWare. -Between Thursday 9/26 and Tuesday 10/1, you can complete the Collection of Cassus Fett’s armor without the belt. -If you do not complete the Collection by 10/1, the belt will now be required to do so. Attention ladies and gentlemen, if you want to unlock the Cassus Fett armor in your Collection, without having to get the belt, you have until servers come down for Update 2.4 hitting SWTOR October 1st. I think this is a very fair solution to the bug with the armor and Collection system. This will allow BioWare to make the proper fix, but in the meantime players are being allowed to take advantage of the bug until it is fixed. So, you all have fair warning, now go out there and get the armor from packs or off the GTN. 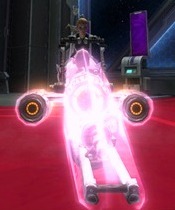 The Aratech Rose is an adaptive speeder. This speeder requires level 10 and a minimum Speeder Piloting I. Initial purchase includes the Legacy Perk: Speeder Piloting I. This Legacy Perk is not included when retrieving this item from Collections. Increased movement speed based on Piloting Skill. It seems there was some confusion for those people who purchased the Aratech Rose or any speeder that offered the Legacy Perk of Speeder Piloting one. Yes, the speeder was and will remain able to be found in the Collection. The confusion is in regards to the Legacy Perk of Speeder Piloting one. This perk is not automatically given to players even when they get the speeder from their Collection. This was not a bug in-game, but incorrect descriptions. The descriptions, as Amber states, have been corrected. 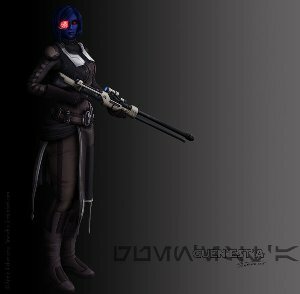 Mandaloriangirl is back with part three of her story Old Friends and New. It has been awhile since we heard from her, no thanks to Facebook. However she is back with the latest edition to this part of the series. If you need a little refresher, head over to her WordPress site and read part one and part two. Part three of the story picks up with her crew, Shorcuk and Dak, arriving at Lord Saragus’ estate. Na’sha is very happy of course to see her friends, but where is Aiden and why didn’t he come. Mandaloriangirl writes in a manner that just pulls you in and in a very short amount of time. Having read this part I am very eager to see what will happen next..Lord Saragus has been a very gracious host, but he is Sith, what angle was he playing or wanting from Na’sha and how would that impact her and Aiden. So many questions, but that is what makes the writing so good…it leaves you wanting more. Read this small excerpt from part three of Old Friends and New. Be sure to subscribe to her fan fiction site, so you can read what will happen next. Saragus smiled slightly at the statement. “Your beautiful boss gives me far too much credit. I merely gave her a place to stay, nothing more.” He turned to me with a lasting look, that made my skin tingle again. 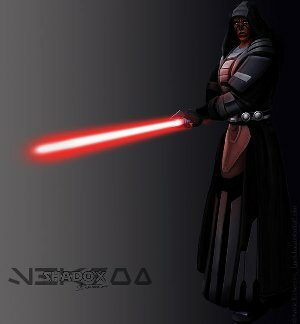 On this SWTOR community edition of HoloNet Links, we look at SWTOR forum user, Lawrichai’s fan art. I have mentioned this artist’s work before in a previous HoloNet Links article. This week I came across some more of their illustrations. 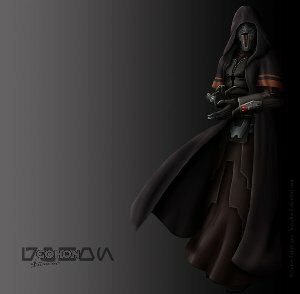 In the forum thread titled, Lawrichai’s Illustrations: Commission Edition, we see three illustrations of a Sith Assassin, an Imperial Sniper and a Sith Marauder. I personally like how each character seems to fade to black or maybe they are emerging from the shadows to strike at the Republic. Below you can see each of the illustrations posted in the forum. You can also go visit Lawrichai’s Deviant art site for more of the artist’s artwork.